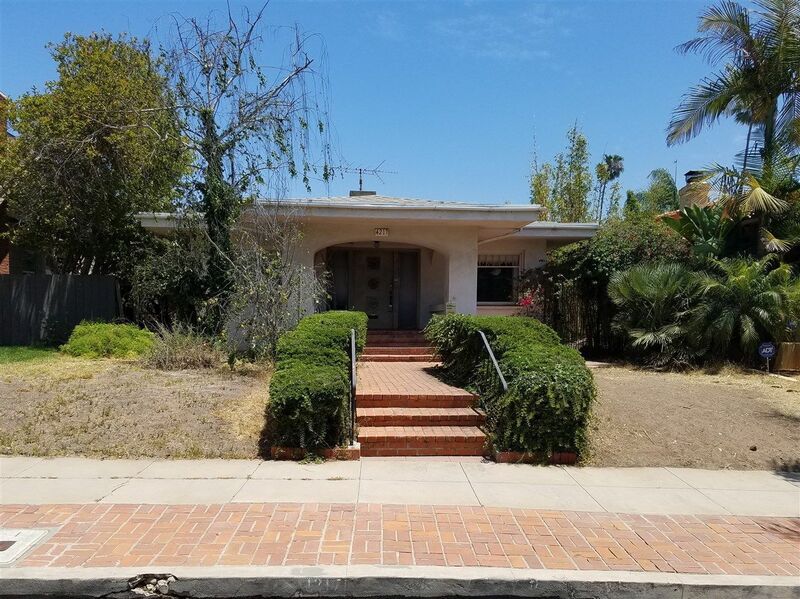 Classic 1920's Prairie school style and rare SINGLE STORY 3br/2ba fixer on a prestigious street in historic Mission Hills. This home is waiting to be restored to its former beauty. Great location on a premier street. Approximately 1,838 sq ft of living space on a 6,900 sq ft lot. Cove ceilings in the living and dining rooms add character. Gum wood accents in the dining room. The lot is zoned for and large enough to accommodate an accessory dwelling unit. The backyard is private and has alley access.